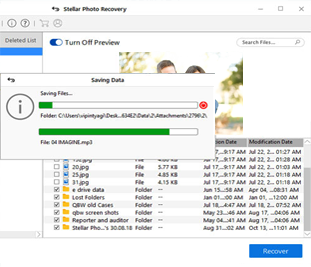 Stellar Photo Recovery is a trustworthy product to recover pictures, music and video files lost after accidental deletion or formatting from a variety of storage devices, digital cameras, memory cards etc. With capability to search deleted / inaccessible or missing data on FAT, ExFAT, and NTFS file systems, this competent software has created a dominant niche for itself among photo recovery software. The Photo recovery software lets you fight data loss resulting from accidental deletion or formatting of storage devices. It quickly finds out recoverable Photos, Audio, Video and other multimedia items and lists them for recovery. Whether you wish to recover SD card, storage devices or hard disks, this competent tool makes sure you reclaim your cherished photos within no time. Stellar Photo Recovery provides the option to add new file headers to the list of existing audio, video, or photo file category. This is helpful for those users who use new, unique multimedia file types (which is not there in the default file list) to recover the corresponding file types without any hassle. This option is very easy and you can add file headers just by 'Drag & Drop' operation. The tool comes equipped with an interactive and easy to follow user interface that makes operating it quite easy. Additionally, many user-friendly options have been provided to make the whole experience smoother. These options include multiple views to display scan results, preview of recoverable photos / Audio / videos, options to add or edit file headers to the list of supported file types and more. 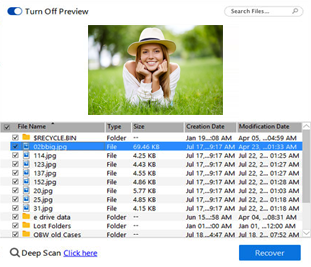 RAW recovery feature comes in handy if your desired files don't turn up after the normal and advanced scan options. This option works on the principle on file signature recognition to recover deleted pictures. Stellar Photo Recovery recognizes a huge range of file signatures in order to provide the best photo recovery service possible. File formats supported: CR2 /CRW, NEF, NRW, RAF, ORF, ERF, K25 /KDC /DCR, PEF, SR2, ARW, SRF and many more. 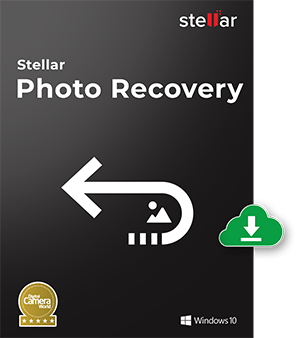 What are the minimum system requirements of Stellar Photo Recovery software and how to install the software? How the 'Resume Recovery' option of the software works?